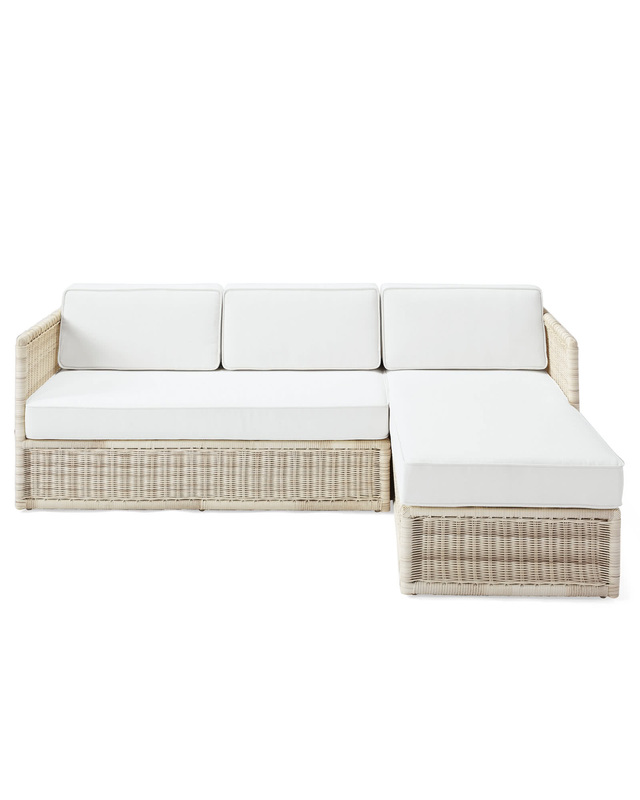 Pacifica Right-Facing Chaise Sectional - DriftwoodPacifica Right-Facing Chaise Sectional - Driftwood, alt="Pacifica Right-Facing Chaise Sectional - Driftwood, "
In-stock Sunbrella White cushion ships within 2-4 weeks. Made to Order cushions ship within 4-6 weeks. Whitewashed all-weather resin on powdercoated aluminum frame. Custom-fit outdoor cover sold separately. Overall: 90"W x 68"D x 28"H.